March 23, 2017 - Like us now! Twitter has released its “Transparency Report” which shows that it suspended 376,890 accounts in the second half of 2016 (July-December) for “promotion of terrorism,” an increase of 60 percent from the first half of 2016. 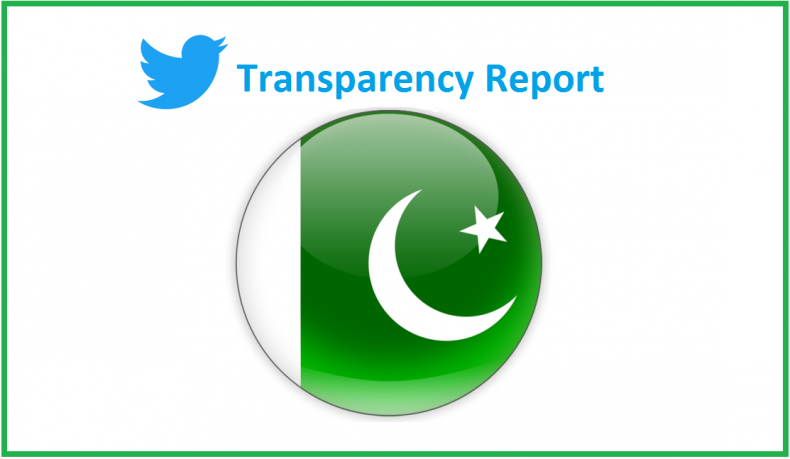 According to the Twitter Transparency report, Pakistan made four total account information requests between July and December last year, compared to six requests made during the first half of 2016. 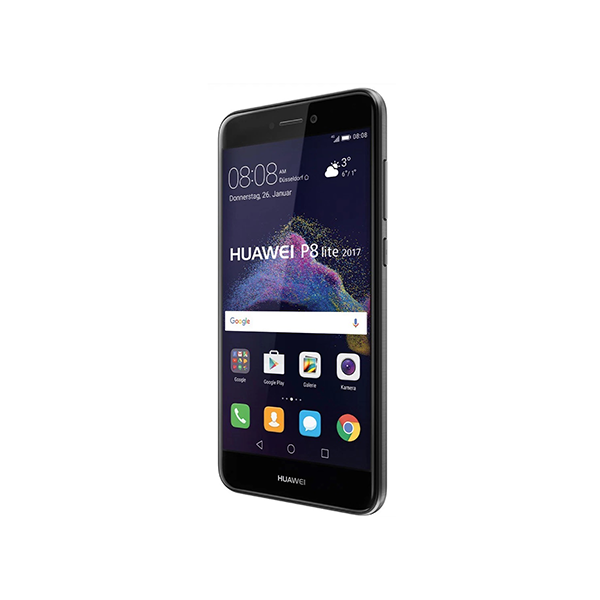 Although the number of requests made was lower, the number of accounts specified in the requests had increased from 22 in the first half of 2016 to 38 in the second half. 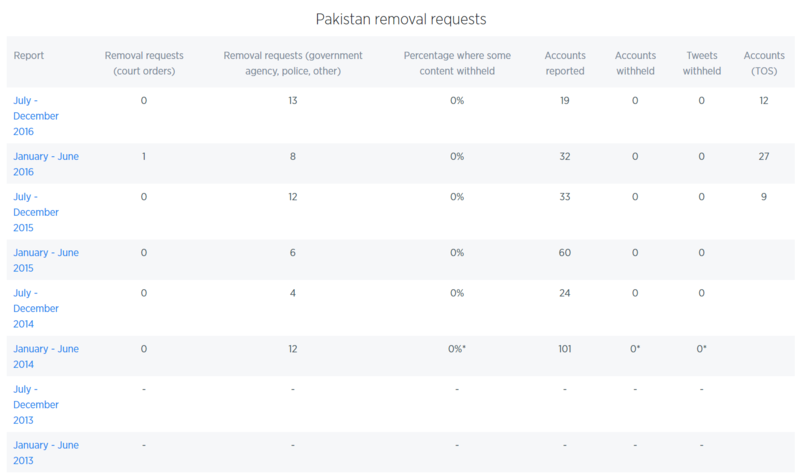 Pakistan also made 13 requests to Twitter for the removal of 19 accounts between July to December last year, compared to eight removal request for 32 accounts in the first half of 2016. Twitter did not fulfill any of the requests made by Pakistan Government. Globally, removal requests affected a total of 13,022 accounts (down from 20,571 in the last report): 2,245 had some content removed for violating our Terms of Service, 1,480 accounts had some content withheld (account-level or Tweet-level), and no action was taken on the remaining 9,297 accounts for some reasons. 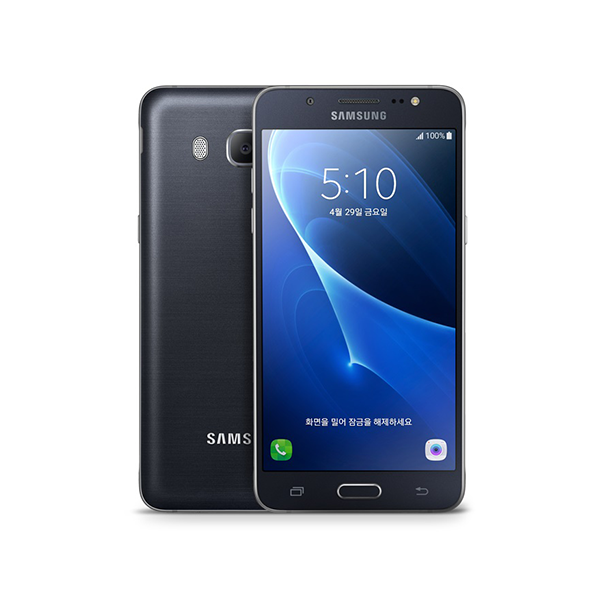 Other social networks also publish their transparency reports which include governments’ request to remove data, requests for information about users, requests by copyright owners etc. In 2016, Google fulfilled 13 percent of the requests made by Pakistan Government. Facebook revealed in “Government Requests Report 2016” that Pakistan made about 712 legal requests and 1015 account related requests, out of which, Facebook took action against 65.45 percent.